1 · Lutra Wings with her bottom, garboard and 6 oz fiberglass cloth on. I’m checking the position of mock up full size center boards. This gives me a much better idea of how she will perform than looking at a drawing or computer screen. 2 · Full size center board and center board case with board up and down. The center board pennant is the strip of paper at the top of the case. 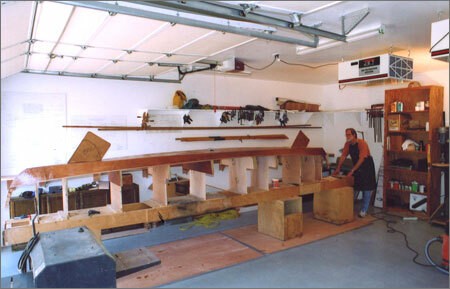 The square footage is calculated from the mock up and moved to the boat. 3 · Marking the strong back gives me an easy visual reference of where the center board case will go and makes laying out the interior much easier. 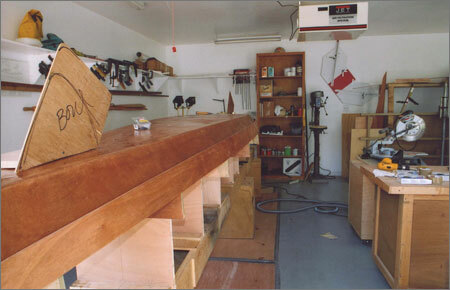 4 · Mid plank sits on the mast and spar lay up bench, waiting for the final marking and cutting. 5 · The mid plank gets the final Marking. 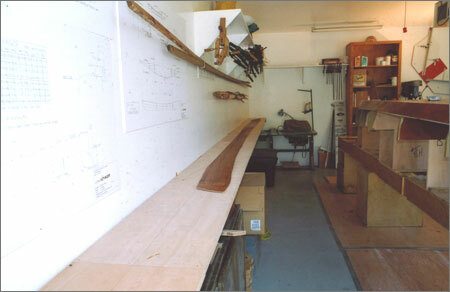 The plank has been on the boat several times and will cut to this line. 6 · I’m planning down to the line and then the plank will put on for the final time. 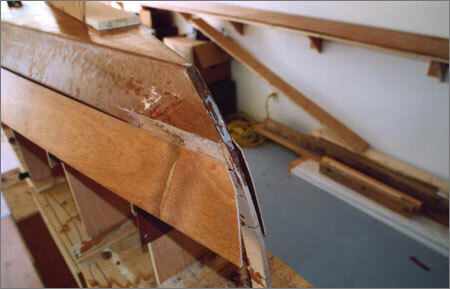 7 · Close up of the bow center board with the mid plank on the boat. 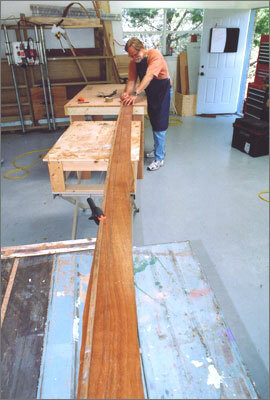 8 · Here I’ve finished cutting the gains and the mid planks are ready to epoxy in place. 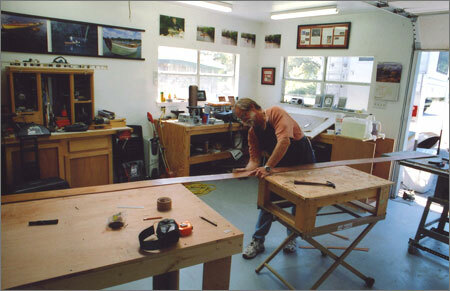 I like to leave the planks on the boat and not remove them once they get their final fit. 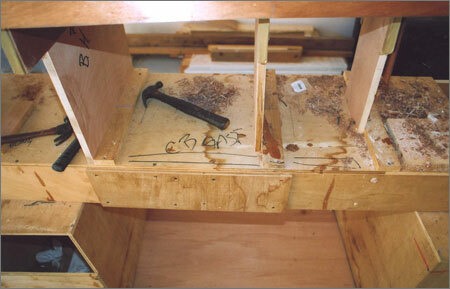 From here, I’ll epoxy both planks by applying epoxy to the front half, temporarily nailing it in place and then the aft portion of the plank is done.